Buderim is a residential township that sits on a 180 meter high mountain overlooking the surrounding communities. It spreads around the base of the mountain and is home to many recent residential developments. 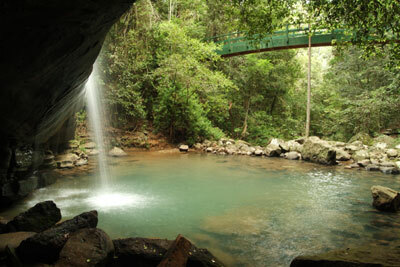 The area is renown for its rainforest walks and forests with lush semi-tropical pockets with waterfalls. Bright red flowering poinciana trees are a feature that the locals treasure and are noticeable when driving through the township. It is home to many sporting communities and has a vibrant country atmosphere.